The best summer treats are combined into this perfect hot weather recipe. 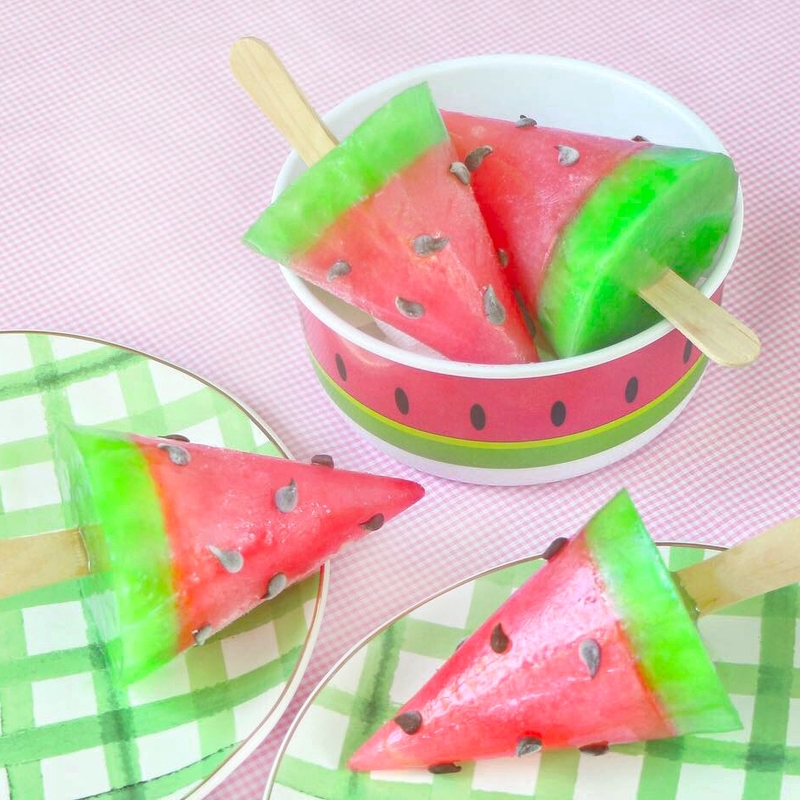 Budget Saver Watermelon Pops look fun and taste even better. Check out more of Jasmin's awesome recipes at 1finecookie.com! Place red and green Budget Saver assorted twin pops into cups to melt. Setup paper cone cups into mugs so that they stand upright. Use paper towel to fill in wherever needed if cones are falling to one side. Pour in red melted popsicle and place in freezer. Push popsicle sticks into red once it is firm enough to hold sticks upright, but not completely solid. Freeze. Pour green on top of red and place back into freezer. Meanwhile, melt chocolate chips and use a toothpick to dab seed-shapes on parchment paper. Once pops are frozen solid, tear off paper cone cups. Stick chocolate seeds onto red portion. If needed, use a touch of corn syrup to help them stick. Freeze until ready to serve.